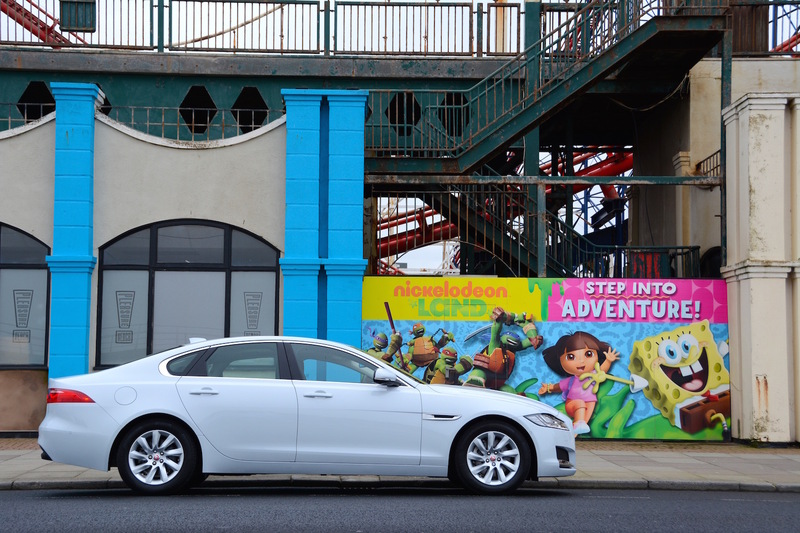 If you’re looking for the most economical executive car for driving lots of motorway miles – that is also good to drive – then look no further than the new Jaguar XF. Historically, Jaguar has generally not been associated with class-leading economy, however all that seems to have changed with this new XF, at least when fitted with the 2-litre diesel engine in our test car. An NEDC combined economy figure of 70.6mpg is a far cry from Jaguars of old. 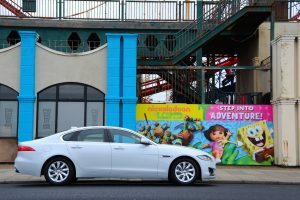 During our week with the Jaguar XF it was universally acknowledged as a good-looking car, although it has to be said that it looks very similar to the Jaguar XE (the main difference being that the XE has a shorter rear end). All cars look better with larger alloy wheels, including the XE and the XF – but the smaller wheels on our test car mean better economy figures. 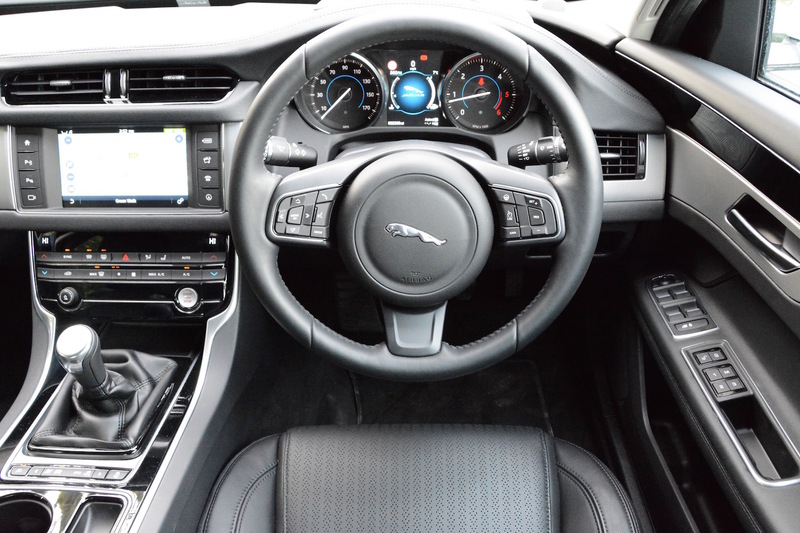 It’s a similar story inside, with the XE and XF both sharing dashboards that are predominantly very black. 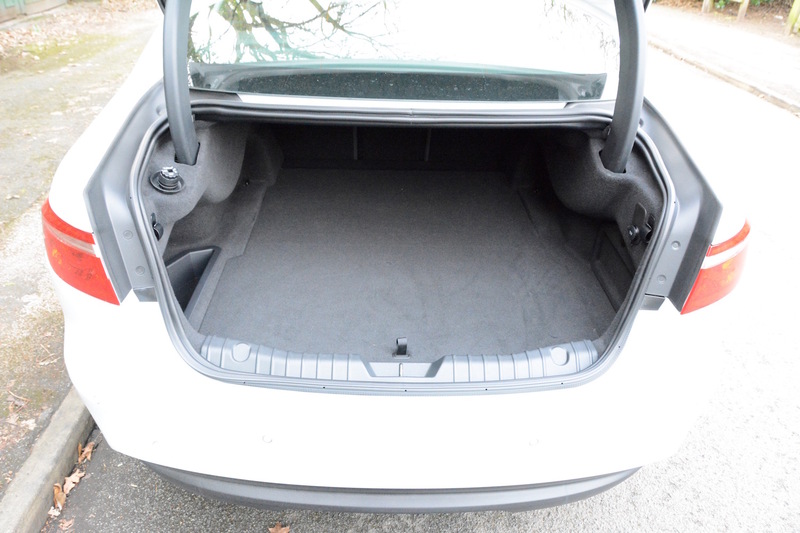 There’s a good amount of space inside, and also in the boot. This XF had a 4-cylinder, 2-litre Ingenium diesel engine mated to a 6-speed manual transmission. 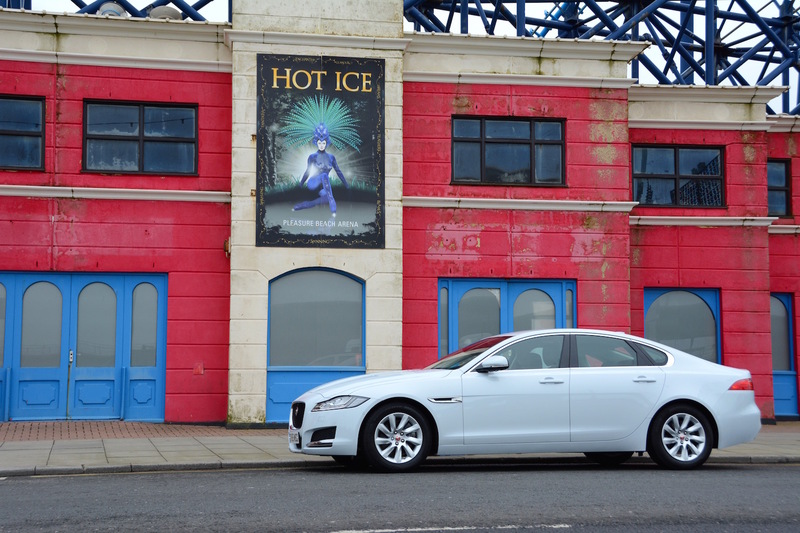 Under the skin there’s an aluminium-intensive architecture which Jaguar claims makes the XF 80kg lighter than its competitors. 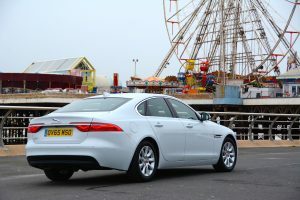 All the essential basics are there: the XF’s steering is responsive, the ride is comfortable, the rear-wheel drive handling is well-sorted, and the car is generally quiet. Our test car had manual transmission, which worked well, but there was a flat spot when lifting off the clutch to pull away, making quick getaways into gaps in traffic quite challenging to achieve. There are a number of driving modes including Normal and Dynamic, plus All-Surface Progress Control, which is for slippery surfaces such as snow and ice. Even in Dynamic mode, you can’t get away from the fact that the power to weight ratio of this XF isn’t that of a performance car. There were a few little niggles with the car, mainly related to the infomedia system. Chief amongst these was the fact that you can’t easily zoom in and out of the map. Most motorways have delays every day due to crashes caused by people who evidently can’t drive in a straight line on a motorway. So the ability to easily zoom in and out of the map is essential to spot the latest crash on the route ahead. Like many touchscreen systems, the XF allows you to zoom in and out, but the buttons to do this are very small and fiddly, and if you manage to zoom in and out without resulting in yourself crashing, a few moments later the system reverts back to the previous magnification. If you miss the small zoom buttons – easily done if you hit a bump in the road – then you end up pressing the screen randomly and creating cross hairs in the middle of the map, so messing up the navigation. An iDrive-style controller is a much, much better solution than a touchscreen in a moving car. Another ‘information’ issue is that the car’s mpg read-out in the instrument cluster resets itself after every journey. If you delve into the car’s touchscreen then there’s an ‘advanced trip’, but it doesn’t seem possible to reset this. Good news is that you can change the heating and ventilation by buttons rather than having to go into the touchscreen, however if you want to operate the heated seats you have to press a button on the dash, and then another button on the touchscreen – just give us one traditional button instead please! The final two niggles are that the spokes on the steering wheel are so wide that you can’t wrap your hands around the spokes, and the clutch footrest can get in the way when using the clutch. The above niggles are put into perspective by the excellent fuel economy that the XF delivered at 70mph on the motorway (over 200 miles): 57.9mpg. This is one of the best economy figures that we have ever achieved, for any car – the fact that this is a Jaguar XF makes it all the more impressive. 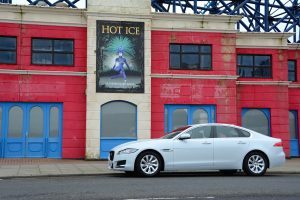 The XF’s official NEDC combined economy is 70.6mpg, equating to 104g/km CO2 (with automatic transmission these figures change to 68.9mpg and 109g/km CO2). 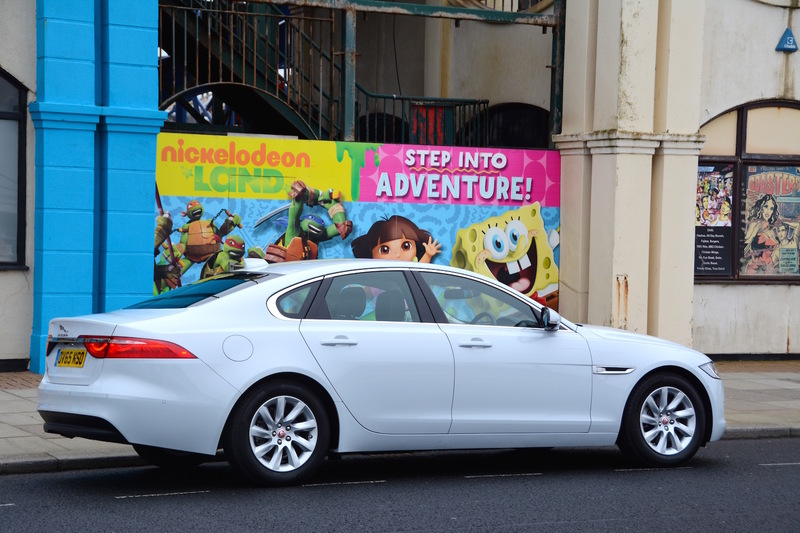 After a week of mixed driving (around 80% motorways), overall the XF averaged 54.9mpg, which is very good. 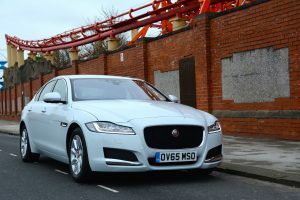 The real-life fuel economy at motorways speeds is helped by the efficient diesel engine, and Jaguar would probably argue that the light weight is a reason, but in our view the key factor here is the aerodynamics – the XF has an impressive Cd figure of 0.26. 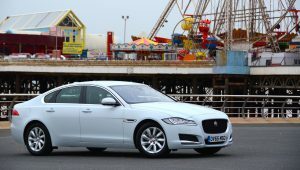 The base price of the Jaguar XF Prestige 2.0 i4 163PS Manual is £32,300. 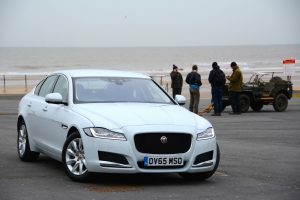 Jaguar went to town with options on our test car, with items such as Glacier White metallic paint (£675); Memory Pack with Powerfold Mirrors (£1,250); Advanced Parking Assist Pack with Surround Camera (£1,940); Cabin Pre-Heat with Timer and Remote (£1,000); Adaptive LED Headlamps (£1,225); and Laser Head-up Display (£1,220) – all options took the total price to £43,445. The new XF powertrain range consists of 163PS and 180PS 2.0-litre diesels with six-speed manual and eight-speed automatic transmissions; a RWD 300PS 3.0 V6 diesel automatic; and a RWD 380PS 3.0-litre V6 supercharged petrol automatic. Trim levels are XF Prestige, XF R-Sport, XF Portfolio, XF S.
Surely this Jaguar XF is the ideal company car for lots of motorway driving. It’s refined, quiet, comfortable, and has excellent fuel economy at 70mph. It proves once again that aerodynamics make all the difference to economy at motorway speeds. If you really want to save fuel, buy the XF rather than an SUV. The Jaguar XF 2.0 diesel is awarded a Green Car Guide rating of 9 out of 10.